THE SURREAL VETTING OF MARTIN MANN – PF18 Interview! 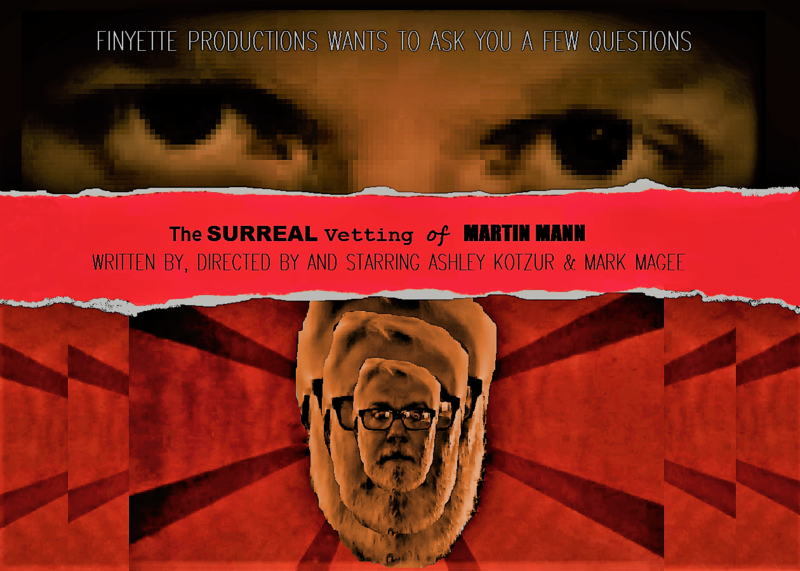 A moment with Mark Magee and Ashley Kotzur of THE SURREAL VETTING OF MARTIN MANN. Since we debuted in 2013, PortFringe has been our one major theatrical outlet. It’s a prefect fit for us since we don’t really consider ourselves professional actors, per se. In one of our riffing sessions years ago we thought of a person in some sort of hearing constantly putting his hand over the mic and consulting with his lawyer and never really answering any questions — to us that seemed funny. That was the germ for this play, although it turned out much different! Last year, our show turned out to be a very emotional piece. It had much more serious elements to it than we expected and this year we wanted to do something lighter — more goofy. I think given our current political climate where we need to stay alert and be aware of all the sad and frustrating events happening each day, immersing in the silly, stupid and surreal is a much needed diversion. We’ve always loved the late/great Peter Sellers — his perfect comedic timing and his ability to completely become another character is great inspiration for us. We’re really excited for our friend and co-worker, Scott Patterson’s Don’t Let Money Fool You. This is Scott’s first dip into the PortFringe waters and we’re very happy for him! SEE THE SURREAL VETTING OF MARTIN MANN AT PORTFRINGE 2018!